The Big Bad Musical: Auditions this February! 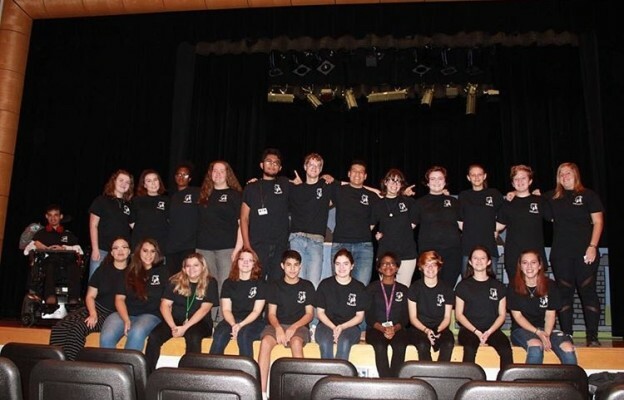 The Spring play is rolling around the corner, except this time it’s even more special for Palmetto High School. The production will be “The Big Bad Musical”, one about the Big Bad Wolf going to trial for accusations from fable characters like Red Riding Hood. Auditions will be held in the old auditorium right after school on February 27th. Any one who would like to try out for a lead role/solo will need to have a one to two minute song prepared along with a one to two minute monologue, and those wishing for a role in the cast that does not have a solo will only need to perform a monologue. The cast list will be posted on February 28th in front of the old auditorium. Students who would like to join props department, tech, or set design will also need to attend auditions so that they may fill out an application with their information. Rehearsals will begin on Thursday, March 1st in the new auditorium and will take place on Tuesdays, Wednesdays, and Thursdays at 2:30 to 5:30. The schedule for these days can also be found on Mr. Gratzer’s website. The theatre club hopes to see many there!